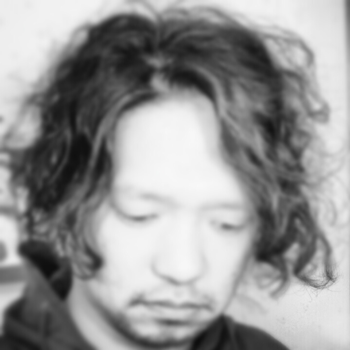 Ryuji Takeuchi (Local Sound Network / LSN, HueHelix) was born in Osaka, and then first contacted with Electronic Music in the early 90s. In the late 90s, he moved to the United States, where he discovered Techno, House and Electro Music. As soon as he got back, he started to DJ at several locations and eventually learned to produce at the same time. After that, he released on such labels as: LK Rec, Arms, Mastertraxx, FK Rec, SWR, Innervate, I.CNTRL, Impact Mechanics, Silent Steps, GSR, Brood Audio, to name but a few. From local to global…It exists in order to inspire the world…Also, Ryuji kicked off another brand new label called ‘HueHelix / HHX’ as a new platform, which discloses something new, only represented by HueHelix, together with Go Hiyama, Tomohiko Sagae and Kazuya Kawakami, in order to push quality music with global standard from where sun rises. In 2012, Ryuji launched ‘Local Sound Network Digital Solutions / LSNDS’ series in need of discovering and introducing wider range of electronic music, aiming at dropping unique audio output while it’s hot. Music style varies. Keep your eyes and ears open for this guy, he never stops.